Next week is the fourth of July! Coordinate your favorite red, white, and blue outfit and get ready to party this Independence Day! 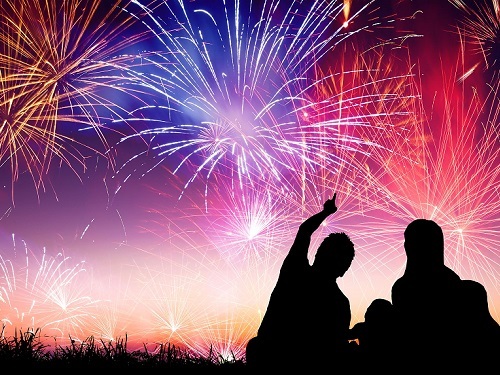 Whether you are celebrating on the beach or in the mountains Spinnaker Resorts wants you and your family to have the best Fourth of July vacation, yet! The amazing Recreation Teams in Branson, Ormond Beach, and Hilton Head Island have created a full day of the most exciting events for you and your family! To celebrate the Independence Day, the Branson Recreation Team has organized its annual Red, White, and Pool Party! Join us at the Palace View Club House Outdoor Pool at 3 p.m. on July 4th, 2018, for one of our favorite celebrations! Spend the day enjoying games, prizes, giveaways, and most importantly family fun. After the pool party, go into town to watch the fireworks at Branson Landing’s Liberty Light Up Concert & Fireworks. This spectacular show features Top 40 Nashville recording artist Jason Pritchett & The Steel Horses, followed by an amazing choreographed Fireworks Display that will fill the skies over Lake Taneycomo and celebrates America’s Independence that will leave you in awe! Join the Royal Floridian for a day in the sun on the Fourth of July! Start your morning off with a walk to Riverside Drive at 8:00 a.m., Morning Coffee in the South Gathering Room from 8:30 a.m. to 9:30 a.m. and Water Aerobics from 9:30 a.m. to 10:30 a.m. From 11:30 a.m. to 1 p.m. enjoy a Chili Dog Cookout! You have a choice of chili dogs or a dog with onions and chips plus a strawberry, blueberry fruit cup drizzled with frosting. Be sure to come by the activities room and sign-up for the Watermelon Eating Contest. The sign-up sheet starts Saturday, June 30th and goes until Tuesday, July 3rd at 2:00 p.m. Fun for all ages! After spending the day relaxing by the pool or at the beach, we invite all owners staying at any of the Spinnaker Resorts on Hilton Head Island to Bluewater Resort and Marina! 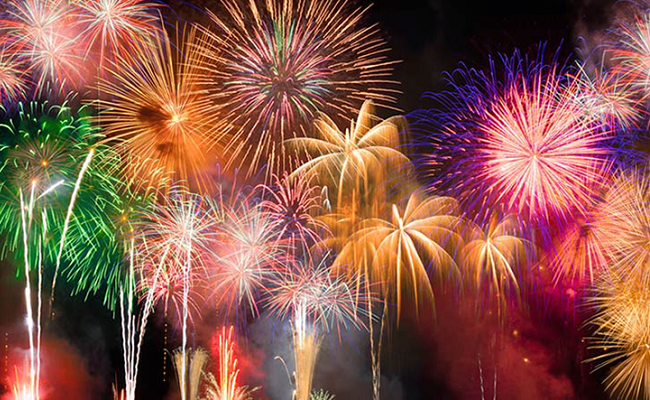 Bluewater has one of the best spots to watch the Skull Creek Fourth of July Fireworks! Gates open at 7:30 p.m. to all currently registered Spinnaker Owners and Guests. You must present a Spinnaker Parking Pass at the Gate for entry. We offer a variety of food for purchase including hot dogs, hamburgers, snacks, and soft drinks! Coolers and outside food are also welcome, with the exception of glass containers. Remember to bring your Activities Card, lawn chairs, bug spray, and your patriotic spirit!